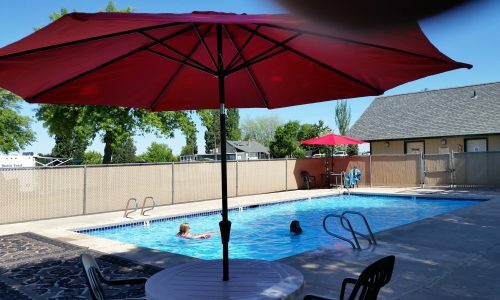 Sage Hills Golf & RV Resort outdoor heated pool provides hours of fun for the whole family! It’s the perfect remedy to relax after a long drive or after 18 holes of golf. 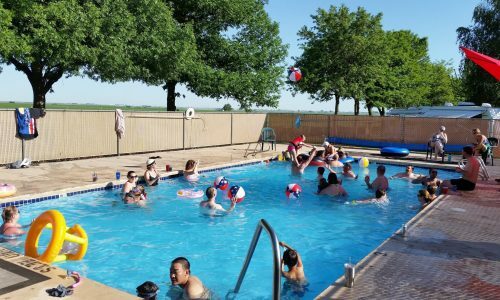 Our amenities are conveniently located by our pool and our amenities are always expanding to offer you the best of the best! Please read all pool use rules posted at the entrance to all pool facilities BEFORE entering pool areas. NO LIFEGUARD ON DUTY. The pool is open to resort guests from May 27th to Oct 1st. During this period it is heated for the enjoyment of all out guests.